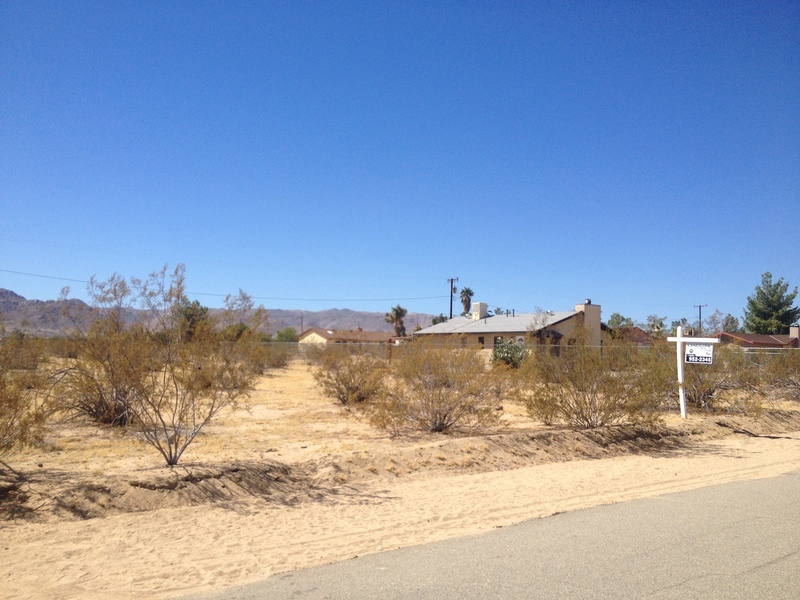 This .45 Acre Single Family Residential lot on Walpi Drive that is for sale in Joshua Tree, CA is just minutes northeast of downtown Joshua Tree and the National Park entrance that receives over a million visitors each year. For further information and current price. This property is located in a very quiet neighborhood that, due to the unique geography of the roads, has very little traffic passing through. The pavement stops in this neighborhood allowing its residents to enjoy the fully paved road access, while not dealing with the traffic that is normally associated with the few paved roads in the area. To help locate the property please follow the link above, or you may copy and paste the following Decimal Degrees into Google Maps: 34.15906,-116.27616 This simplified and easy to transfer form of GPS coordinates may also work in many other mapping programs. 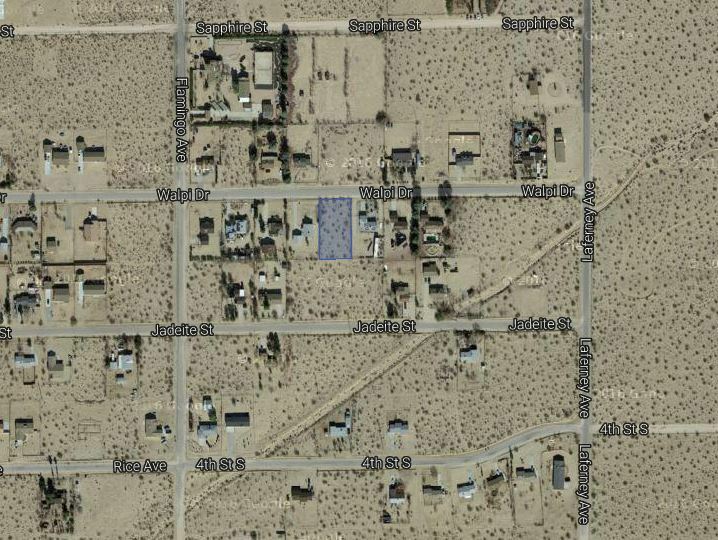 Written directions to the property from HWY 62 in Joshua Tree are as follows: Head East on 62, and turn left on Sunfair, left on Broadway, left on LaFerney, and Right on Walpi Drive. View looking south from property. 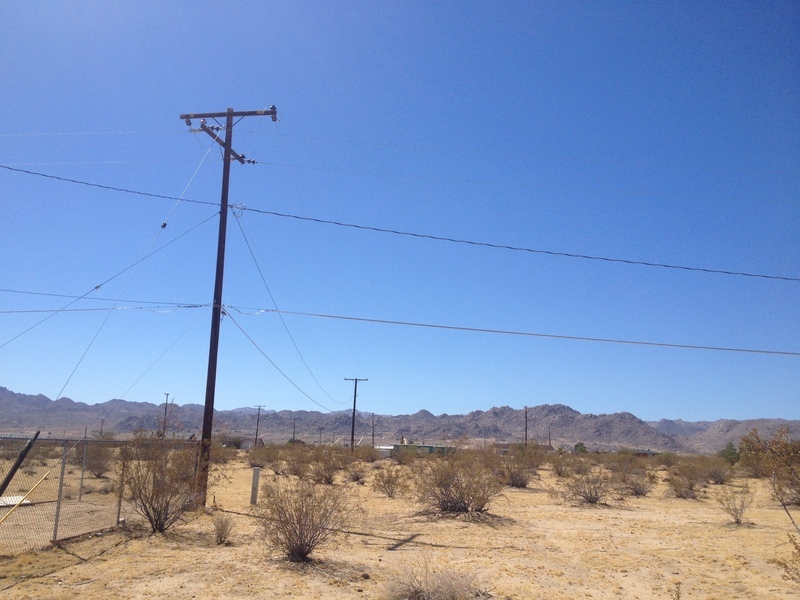 This vacant lot has overhead power lines on the southern property border, and is fenced on the east and west by the adjacent property owners. At the time of this posting there have been 3 Single Family Residences in this small neighborhood that have sold in the last 3 months, with prices as high as $126,000 and as low as $103,000. This property is priced extremely competitively and is ready to move!! Are you a Land Owner curious about your properties value in today's market? Please give us a call at (760) 952-2345 for a FREE valuation of your property.